This lecture on Polish cinema by Rohan Crickmar is part of Focus on Poland Strand at Edinburgh International Film Festival and will take place on 28th June in the Filmhouse, Edinburgh. The event is free and all are welcome! The first volume of Elsewhere stories in Polish translation is finally online! The original texts by prominent, Scottish and non-Scottish, writers were commissioned by the Edinburgh International Book Festival and published on the Festival’s website. As the title of the series suggests, its main themes revolve around journey, distance, escape and confrontation with the ‘other’. The aim of the project is to grant all these fantastic works a new life elsewhere, namely in Poland – in top-notch translations prepared by undergraduate and postgraduate students and other translation enthusiasts affiliated with the University of Gdańsk. The volume was co-edited by Marta Crickmar. 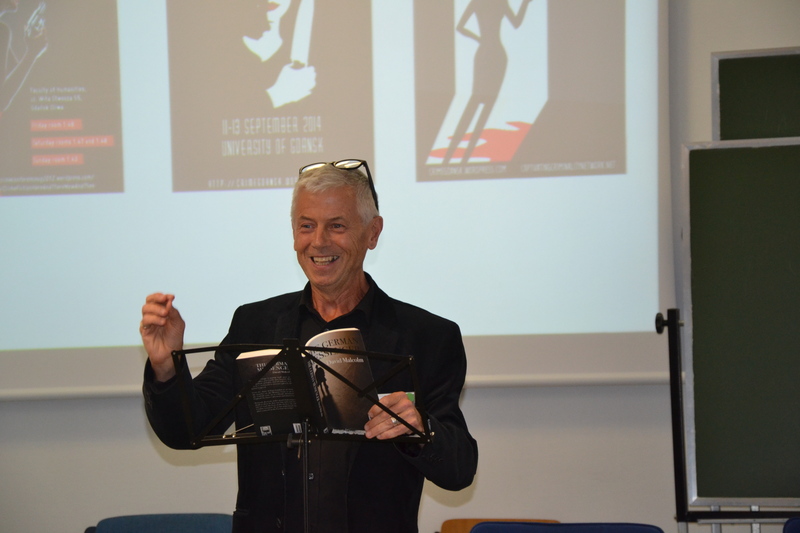 The conference gathered more than 50 delegates from different European countries who engaged in the discussion on Scottish literary and cultural exchange with Europe. Many scholars affiliated with our research group were in attendance. Have you heard about #ScotLitFest? During that virtual festival which took place in June 2016, sixteen Scottish crime writers created an exciting story on Twitter. Here is the link to the Polish version of the story translated by a group of Gdansk University students under the supervision of Dr Marta Crickmar. Enjoy!